For children that have special needs due to a chronic health condition, exercise can be challenging. With colder months, the chances of these children even being able to get out into the fresh air is rare. There is no dispute that all children need social, mental and physical balance in their lives and this is even more important for those children that may have restrictions on activities due to a chronic health condition. Can improve muscle strength, coordination, and flexibility. Enhances balance, motor skills and body awareness. 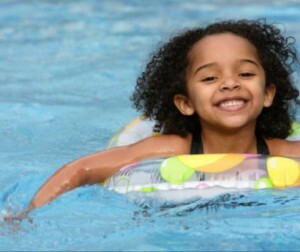 Exercise improves mood and helps children cope with anxiety and depression. Can give the child a sense of accomplishment. Exercise increases appetite and improves quality of sleep. May see a decrease in secondary health complications like obesity, high blood pressure, low HDL (“good”) cholesterol and diabetes. Parents and caregivers can work with physicians, physical therapists and other healthcare professionals to develop a program that is appropriate for your child and their diagnosis. Covering the basics of physical activity guidelines within your child's range is important. Touching base with local hospitals, organizations and organizations like the YMCA can be a good source of exercise programs that are tailored to children with special needs. Parents will need to do the legwork - while 15% - 18% of children and adolescents in the United States have a chronic condition or disability, opportunities for their participation in fitness and activity programs, whether for leisure, recreation, or competition, are limited. Avoid cabin fever for the winter months and find some activities that work well indoors: making your child a sous chef, make music and have a dance party, check out some of the exercise-oriented video games. 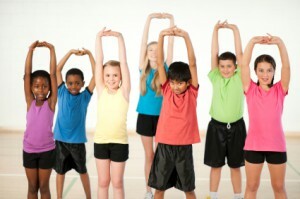 However you can get your children moving will benefit them (and you!). Xickle RBC-Plus™ is the perfect supplement to take when you are doing vigorous exercise and worried about the possible after effects. It is effective for all ages, but specially formulated for individuals under the age of 18. Red blood cells have the job of carrying oxygen from your lungs to tissues throughout your body and also transporting carbon dioxide to your lungs to be exhaled. On average, red blood cells live about four months which means that your body is constantly working to create new ones to replace those that are dying. Red blood cells get their bright red color from an iron-rich protein known as hemoglobin. Keeping your body full of the proper nutrition, vitamins and minerals contributes to good red blood cell health health and production. Those people who have anemic conditions in particular need to include these foods, vitamins and minerals in a daily diet. The vitamins and minerals that our bodies need for good red blood cell health are Iron, Folate and Folic Acid, Vitamin B-6, Vitamin B-12, Vitamin A. Iron helps create hemoglobin which is vital to red blood cell health and oxygenating our cells. Iron-rich foods include red meat, organ meat (like liver and kidneys), legumes, dark green leafy vegetables (like spinach and kale), whole grains, raisins, seeds, egg yolks. Folate is very important for immune system integrity and overall body cell health. Foods that naturally have Folate are long-grain rice, turkey and chicken giblets, legumes, asparagus, spinach, broccoli, brussel sprouts, lettuce and other dark leafy greens. Folic Acid is the synthetic form of Folate and is used to fortify cereals, flours and macaroni products. Vitamin B-6 supports red blood cell metabolism. Eat plenty of fish, long-grain rice, turkey, chicken, potatoes, tomatoes, bananas, whole grains, legumes and nuts for more Vitamin B-6 in your diet. Vitamin B-12 helps keep the body's nerve and blood cells healthy and contributes to the creation of DNA. It is found in all animal protein but may need to be taken as a supplement due to malabsorption issues. Vitamin A helps stem cells in bone marrow develop into red blood cells and keeps the replacement level stable. It also supports the new red blood cells for access to the iron needed for hemoglobin production. Foods that are rich in Vitamin A are liver, paprika, cayenne, chili powder, sweet potatoes, carrots, butternut squash, dried apricots and cantaloupe. Good nutrition and including these vital nutrients in the food we eat are a great way to naturally increase our red blood cell health. 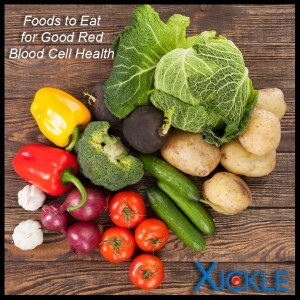 Do you need to do more to increase your red blood cell health? Xickle RBC-Plus™ contains clove, pepper and sorghum and is a new and improved system to protect the function of your red blood cells by guarding their structural integrity from shape distortion, damage or destruction from certain conditions including low blood oxygen (hypoxic conditions) that can happen, particularly during vigorous exercise. Xickle RBC-Plus™ can also reduce red blood cell clumping that can obstruct blood cell flow and can therefore guard against the side effects of the release of toxic constituents during red blood cell death. Contact us for more information on Xickle RBC-Plus™. Happy eating to better red blood cell health!